Travel Products Jewelry Case Review and GC Giveaway!! I don't have an abundance of jewelry, but I do have several favorite necklaces and bracelets. When we travel (which is quite frequently-we're actually headed out again this weekend) I get frustrated trying to pack each piece in a separate little box so the chains don't get tangled. So, when I was given the opportunity to choose an item for review from TravelProducts.com, I knew exactly what to get-a Jewelry Case! The Jewelry Case comes in 2 feminine colors; pink, and powder blue; I of course chose the blue. I honestly wasn't expecting much in the way of quality from a jewelry case that only costs $20.00, but thought it would be better than my previous jewelry traveling messes. To my surprise, when the package arrived, the case is awesome! Made with genuine leather, and a soft interior lining, this is the best way to keep your precious jewelry safe. The hard leather exterior prevents crushing or other damage, and the oh-so-soft interior prevents scratches. The case has 2 zipper pockets for bracelets, a ring keeper, and an area for necklaces. There is also a place for earrings, but since I don't wear earrings at all, I simply used it for more bracelets. It was so nice as I'm packing for this trip to just slips this handy case in my suitcase pocket! One of my readers will receive a $25.00 Gift Code to TravelProducts.com!! Buying a house is a big investment, obviously, but last year I decided it was time for me to make the plunge. I was really excited to get in the housing market but the prices hadn’t hit bottom yet – it took me about 8 months of searching to find the right house for me. Anyway, I love being a homeowner and having things like CLEAR wireless internet service and a big deck to my name…it just feels so much more adult than anything else I’ve ever done! I bought all new furniture for the house because I couldn’t exactly keep living on all that dorm stuff and I spent some time working with a partner at my office on some wall art to hang up. I’d say this place truly reflects my style although it does still need a bit of updating and you know, that’s why I bought it. I can add value while I live here and learn some home improvement projects along the way…it’s a win win if you ask me! Hey, do you wear eyeglasses? While I don't personally, my father and a couple siblings do. So I know what it's like to shop for quality eyeglasses at reasonable prices! When my younger sister first found out she needed glasses, I was amazed at how expensive little kids glasses were! I mean, these are frames (and probably lenses) that will need replaced or upgraded in just a short time, yet they are very high priced! Fortunately, we were able to find a sale and get a decent pair of glasses for her. Of course, if you are looking for some eyeglasses, and are interested in shopping online, you should check out GlassesUSA.com; they have very reasonable prices from what I have seen, and you can even use their virtual mirror feature to see how a certain pair of glasses looks on your face! So, no matter what type or style of prescription glasses you need, check out GlassesUSA! They offer multiple frame shapes and styles, and there are 2 really great sales running right now: Take 55% off any pair of glasses (basic single vision lenses included) with the code Best2011. Or, take 10% off any order of prescription glasses with the code Blog10. Hey, have you heard of Gift Card Weekend? I just learned about it recently, and it sounds like great fun! After purchasing a gift card at participating retailers such as JC Penney, Lowe's, Marriot, Bass Pro and more (see complete list below), you can get special featured offers when you use the cards between Jan. 6-Jan. 8, 2012! This is a great way to increase the value of your gift cards; I can't wait to see what each company is offering! To prepare for Gift Card Weekend, Gilbert The Gift Card Machine is giving away $10.00 Subway cards (you guessed it-a participating retstaurant) daily through December 31, 2011! Entering this giveaway is very simple; just like Gift Card Weekend on Facebook, and you're entered! You can also share it with friends and family, and receive another chance to win for each "like" you influence! That means the more people you get to enter (by sharing the fan page on Facebook) the more chances you have of winning a $10.00 gift card to Subway! And come Gift Card Weekend, your gift card will get you some extra features too! JC PEnney, Regal Cinema, Subway, Sephora, Applebee's, Bass Pro Shops, Adidas, Buca di Beppo, Lowe's, Spa Finder, Marriot and Giant Eagle. If you have family, then I am sure you have, at times, worried about their safety. It seems like every day you pick up a newspaper or turn on the radio, you hear about someone being attacked, mugged or robbed. It seems no one is safe. While I believe there are many ways to improve your safety level (and that of your family), one of the best options I have discovered recently is Ila Security. These are so neat, and something that everyone should have! Ila offers various personal security devices that emit a high-pitched alarm when triggered. It's a pretty well-known fact that loud noise is an effective deterrent to criminals, so why would you have an alarm on your house, but not your person? I received an Ila Dusk and Ila Pebble for review. The first thing I noticed was the perfect size and style of these alarms. They certainly don't look like security alarms, but rather like a fashionable keychain! The Ila Dusk is perfect for when I go walking or jogging in the mornings. I like to go by myself (it's easier to walk fast when I'm not having to talk to my walking partner), but even though we're in a pretty safe neighborhood, the family prefers I have a partner. However, with the Ila Dusk clipped to my belt, and the ability to sound a 130db alarm, I think it'll be okay to walk by myself now! The Ila Pebble is a cute little piece attached to a keyring that is great for attaching to your keychain, purse strap, or other easily-accesible place. I actually set this one off, and it is quite loud! I like that the alarm is not so easy to set off that it "screams" when I accidentally hit it, but it is also simple enough that even when "under attack" anyone can do it. Simple push the button and pull the ring out, and your attacker will definitely be scared! Not to mention all the helpful attention it will draw! "ila Security was launched in 2008, a joint collaboration with global communications agency BBH, whose clients include Audi, British Airways and Lynx/Axe. Its creation addresses what was a significant gap in the global market in the area of stylish female safety and personal security accessories. A 2010 YouGov/Glamour magazine survey reveals that 68% of women are seriously concerned about their personal safety – and the same women also want to look stylish and fashionable. In response to this need, ila Security provides a must-have range of accessories that are chic, feminine and versatile. Because when it comes to safety and style, there shouldn’t have to be a compromise. " One of my readers will win an Ila Dusk! 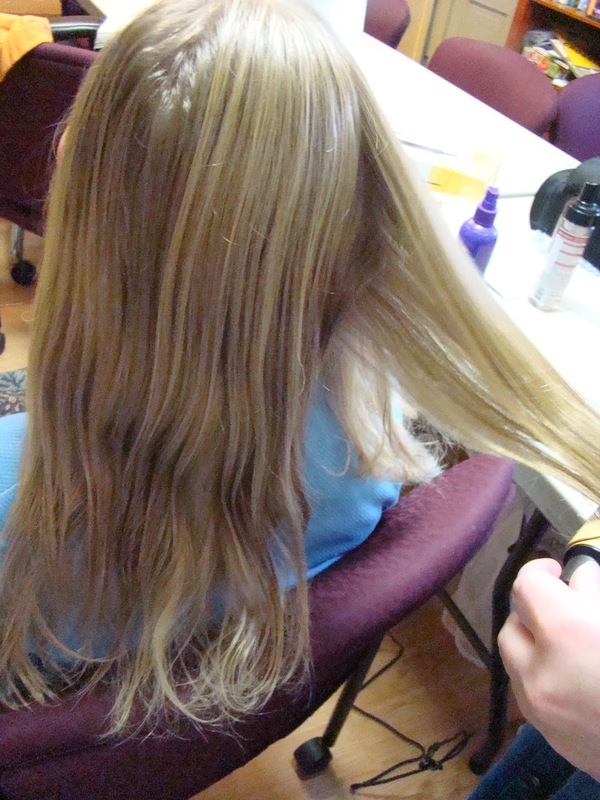 InfraShine Curling/Spring Iron Review and Giveaway!! A couple months ago I reviewed an InfraShine Flat Iron; this time around, I was able to review a Spring Iron from InfraShine! This is also part of the Classic Line, and is another example of why InfraShine is such a great company! 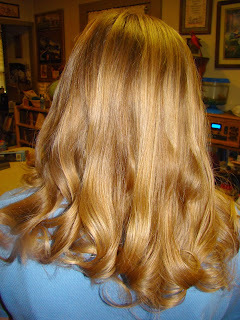 Soon after receiving this curling iron, M decided she wanted her hair curled "just at the bottom, like Nancy Drew's". So, I pulled out the InfraShine Spring Iron, and tried to style her hair just like Nancy Drew's! 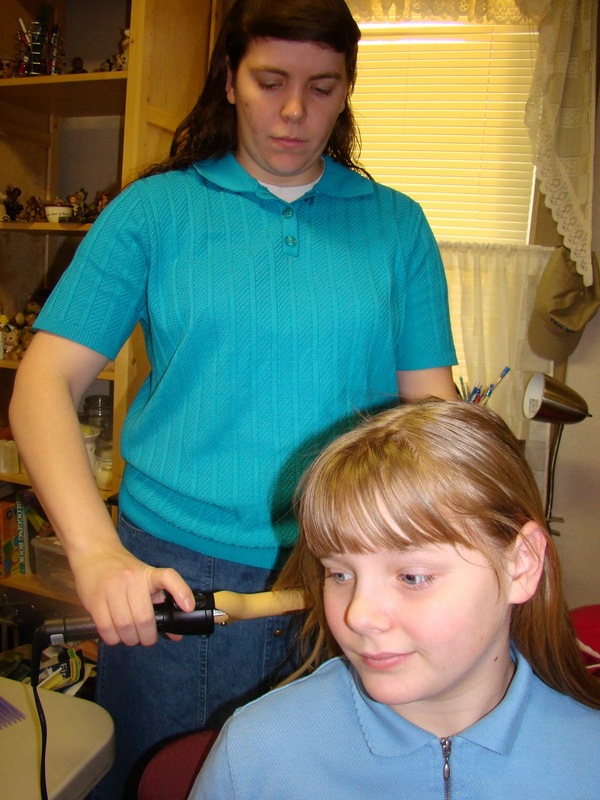 I am honestly not the greatest with hair styling (the 14 year-old does a better job than I do!) but this was very easy to use. It has a power switch, and a dial to set your temperature between 170 and 360 degrees. I set it on about 250 for M's hair, and it worked perfectly. Here are some pictures of the styling process and results. I think it turned out pretty nice, if I do say so myself! I was very impressed with how easy it was to style M's hair with this iron. The extra long swivel cord means no more tangling up in the cord. 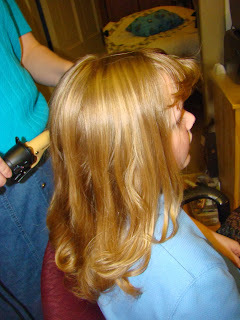 This InfraShine spring iron is so much better than the old curling irons I have been using! "Experience all the benefits of InfraShine’s patented ceramic ionic technology in an innovative new Spring Iron. This flexible and easy-to-use professional styling tool heats the hair from within to lock in its natural moisture, produce unbelievably silky shine, and help you create beautifully controlled curls and waves exactly where you want them." One of my readers will win a 1" Spring Iron from InfraShine!! I love Gallery Direct! I have been a "blog ambassador" for Gallery Direct for several months now, and I have covered the spectrum of landscape art, custom-photo, etc. While deciding what to get for my December review, I suddenly thought about getting some "Inspiration art" (Scripture verses with matching backgrounds) for our home. We used to design this type of thing with Print Shop or other program, and then print off an 8 1/2 x 11, frame it, and hang it on the wall. Gallery Direct offers so much more variation, not to mention a much more professional looking print! So, I designed a jpg file with my favorite Bible verse-Gal. 2:20-and a cross background. I wasn't sure how good the quality would be, but with the Gallery Direct upload feature, it will alert you if the picture isn't high enough resolution. After ordering the print on aluminum, I was anxious to get it in and see how it turned out. As always, Gallery Direct had my order ready and shipped very soon, and within a short amount of time, the package arrived at the door. I have become accustomed to the super-thorough packaging GD uses, but this time the print was triple wrapped/protected! After finally unwrapping all the layers, I was able to see my print. And it looks absolutely beautiful! Here is an up-close shot of how it looks. After hanging it on my wall, I was very pleased with how many comments and compliments I got. The first person who walked in and saw it asked "Where did you find something like that?!". Another one commented on how nice the aluminum looks, and sets off the message in the picture. So if you're looking for a way to brighten up or decorate your home, check out Gallery Direct! They're running an end-of-the-year special through Monday, where you will receive 33% off, and free shipping! Hey everyone, I just had to share this with you! You may remember I did a review of Certain Dri Antiperspirant a while back, and I just found a giveaway at PI Of Products for Certain Dri! There are only about 20 entries and the giveaway ends on Monday, 12/26 so hurry up and enter! Just click here to go to the giveaway! How many of you have heard of P.F. Chang's? It's only one of the most popular Chinese restaurants ever, right?! For anyone who doesn't have a P.F. Chang's location nearby (the closest to me is about 4 hours away), you can satisfy your Chinese cravings with P.F. Chang's Home Menu! This is a great selection of frozen food that comes in a nice "Meal for 2" design. I received a coupon for a free Frozen Meal, and when I went to redeem my coupon, I was amazed at the selection available! I actually used this while we were staying at a hotel, and while these meals are recommended for skillet preparation, you are able to heat in the microwave. 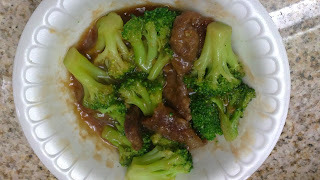 I ended up choosing the Beef With Broccoli (one of my favorite Asian entrees). This comes with frozen beef strips, broccoli florets, and sauce nuggets. During cooking/heating, the nuggets melt and envelope your entree in a delicious sauce! While heating in the microwave, the entire hotel room began smelling like a Chinese restaurant. When the meal was ready I couldn't wait to dig in. And it tasted every bit as good as it looked and smelled! Very rich; the broccoli was yummy, the beef was tender, and the sauce was perfect. The P.F. Chang's Home Menu is definitely a hit, and I will be purchasing more of these in the future. You can't beat spending about $8.00 for a tasty Chinese meal for 2! "The chefs at P.F. Chang’s China Bistro have created frozen meals inspired by the signature bold flavors of their famous Asian cuisine. These memorable dinners for two are skillet-ready in 13 minutes or less." P.F. Chang's Home Menu Meal-For-2!! If you're looking for a free, easy photo editing and sharing program, look no further than Nero Kwik Media! I downloaded this program a few weeks ago, and I am amazed at how easy it is to work with! You can create slideshows of your favorite photos, share them online, or burn it to dvd for future viewing. With Kwik Media you can instantly upload your creations to Facebook, Youtube or sync to any Android-powered device. 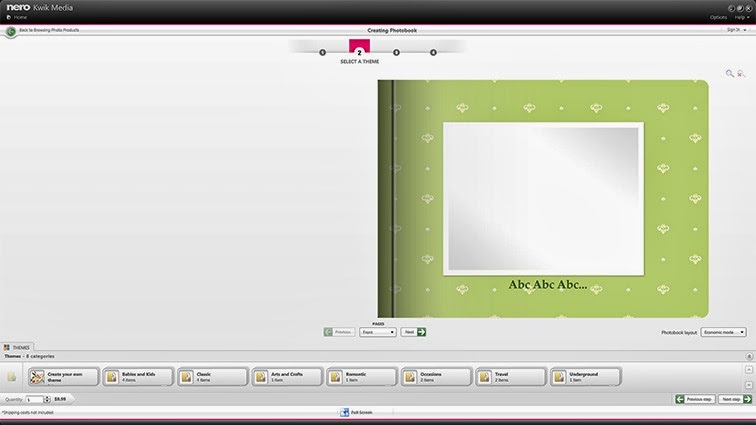 In addition, Nero Kwik Media lets you create Photo Books and other photo products, and order directly from the program! It is super-easy, and super fun! I was given the opportunity to create and order a photo book for review. I actually let M, the 11 year old, design the photo book. She did a great job, and she loved being able to create the book how she wanted it. I oversaw the project, and checked for any needed edits before ordering, but she did great! I was very pleased with how easy the program is to use; if an 11 year old can create a photo book on here you know it's user-friendly! [I did, of course, do the ordering myself :)] After a slight glitch with the program not uploading all the photos while ordering (I believe our wireless cut out, and that caused the problem) I was able to get the photo book ordered. M chose the blue leather cover, and the whole ordering process was very simple and fast (once the internet was working!). The book shipped only 1 day after ordering, so the service is super fast too. M was very excited to see "her" photo book, and here is how it turned out! The pictures turned out really nice and clear; no fuzzing or blurring any of them. 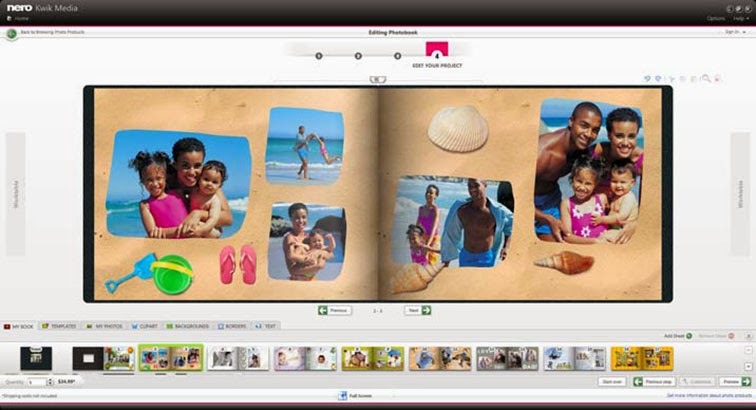 If you're looking for a great photo gift, or a program to created and edit photos with, check out Nero Kwik Media today! Disclaimer: I was not monetarily compensated in any way for this review. I did receive product for the purpose of review. All thoughts and opinions are mine. I have to admit, I don't use a credit card very often. I have my bank debit card, and get by with that except for a very rare occasion. However, when I do need or choose to use a credit card, sometimes it is frustrating when a business doesn't accept them. For example, the grocery store in our small town only takes bank/debit cards or cash! I guess many businesses are worried about finding cheaper transaction rates. I understand this, especially when you're talking about small companies in even smaller towns. That's why it is so important to get the best merchant account you can possibly find! Once you get set up and started, your business will run so much more smoothly. I wrote this post for Blogsvertise and ACM Merchant. All thoughts and opinions are mine; I have not purchased or received product/services from ACM Merchant. Today I have a post for you that is sponsored by Social Moms and Gift Cards Rock. With the holidays approaching fast there is always the rush of finding last minute gifts. And with how much I don't like going out into the holiday rush, this is a wonderful time to purchase gift cards. I like giving them and I especially like getting them:) Below I have given some tips about ways to give gift cards. Hopefully you enjoy reading these and you can get some ideas for yourself. 1.Use These in A Gift Basket. I like making gift baskets. Whether they are for a friend or a neighbor, gift cards are great additions! These are not very personal but if you know someones likes or dislikes, you can easily get one of these to fit their gift list. For children there is always Toys R Us and K'Mart. So make a basket with some toys or a doll and then slip in a gift card. They will love it! For adults there are so many opportunities with gift cards. For your coffee lover you can take a basket and put in a mug and some coffee. Then maybe put in a small inspirational book and to top it off, add a gift card to a local coffee shop or an online coffee store. These make wonderful gifts for the people who you don't really know or maybe when you host a party. For those who like to give a small gift to your postal worker or UPS driver, these are excellent! You can give a $10 gift card and they know they are appreciated and they get to pick something out for themselves. My top reason for buying a gift card is that the receiver can pick out whatever they would like. You have no worries about someone not liking your gift or having to give them a receipt so they can return it if there is a problem or it isn't the right size. Give your mother a gift card to Bath and Body Works and let her pick out her favorite bath products. Send a gift card to your brother and he gets to choose what he wants to get from Kohl's. No better way! So, if you are searching for the gift that is just right, gift cards are the way to go. If you are short on time, you can pick them up at your local grocery store as most of them carry a whole case of gift cards. I for one will be watching this Gift Cards Rock page as they have some good deals listed on there right now. Like them and you can see what they have! I wrote this blog post while participating in the SocialMoms and Gift Cards Rock blogging program, for 6,000 My SocialMoms Rewards Points. For more information on how you can participate, click here. Have you ever had frozen pipes? We used to live in the South, and most winters we never had to deal with the whole winterizing scenario. However, we did take RV trips a few times during winter months, and this was a concern we had even in Alabama and Georgia, as RV plumbing is not as quality as home plumbing. However, there is one disaster I recall quite clearly that is the worst plumbing experience we have ever had! For those unfamiliar with camper plumbing, the toilets are not the greatest. And the pipe system for the sewer tank can be rather frustrating; on our RV the pipe turned up right before the drain, so it didn't always work properly. However, with driving around every few days, it shook and rattled enough to get everything out. Until the time we stayed in one location for a couple weeks. Before we realized it, the "black water" tank (toilet) was full, and would not go down. No matter what we tried. You can't exactly plunge a camper toilet, and Drain-O doesn't work either! So we tried dragging a hose into the RV, and flushing a powerful stream of water down. Nope, that didn't work either; we only succeeded in almost flooding the camper! It took us a solid 3 days (during which time we had to run to the bathrooms nearby, even in the middle of the night) to finally get a plumber out who knew what he was doing! I believe it was the second plumber we called out, and he was able to knock and flush and do who-knows-what to get the blockage in the toilet to go down! Hurray for working toilets! I am participating in a blogger campaign for Bucks2Blog about frozen pipes and was compensated. However, the views and opinions are my own. Hey everyone, I have some really great baking mixes to share with you today! Bob's Red Mill was kind enough to let me choose 3 of their baking mixes for review. I chose the Gluten Free Brownie Mix, Buttermilk Pancake/Waffle Mix, and the Cornbread Muffin Mix. The Cornbread Muffin Mix is the first one I made. We were making soup for a light dinner one evening, and I thought it would be the perfect time to make cornbread too. The instructions were very simple (just add egg and milk, I believe), and then bake! I was so impressed with how the cornbread turned out! Very moist and yummy! Even my Dad, who normally doesn't eat cornbread because he says it's too dry, enjoyed this! It was the perfect addition to our tomato soup, and the leftovers made a great snack the next day. The Buttermilk Pancake Mix was also very tasty. I made these up for my sister and myself one morning, and we thoroughly enjoyed them! I loved the whole grain flavor! The Gluten Free Brownie Mix was probably my favorite out of the 3 I tried. Unlike many GF foods I have tried, this had a very delicious flavor, and the brownie was just as rich and moist as a regular mix. These brownies received rave reviews from each of the kids, as well as the adults! "We've known from the first day we opened our doors in 1978 that to make the best products possible, we'd have to be able to do it all ourselves. And with our state-of-the-art milling, packaging and distribution facility located right in Milwaukie, Oregon, we're able to guarantee quality, every step of the way. Bob's Red Mill takes great pride in handling all aspects of the production process in-house, starting with processing, washing and inspecting the grain, and ending with shipping the finished product to your door. But don't just take it from us; you can actually see the results of all our hard work. With our special clear packaging, you get to be the final judge of the quality and freshness of our products, before you take them home." 3 of my readers will receive a Gluten-Free Brownie Mix!! You may remember earlier this year when I reviewed some products from Vitalicious. I recently had the opportunity to review a new flavor in their VitaTop line, which are basically Muffin Tops with only 100 calories each. The new flavor is Banana Choco Chip, and is absolutely delicious! I love banana-chocolate chip bread and muffins (I make them on a semi-regular basis) but having some that is actually good for you is a special treat! The Banana Choco Chip VitaTops are 2 ounces packed with oats, bran, chocolate chips, and banana flavor. They make a wonderful breakfast after toasting! Or a great mid-day snack. I can't believe they only have 100 calories, and taste this good! "Vitalicious® Inc. is the market leader of innovative "vital and delicious" baked goods that promote a healthy lifestyle, without sacrificing taste. First to market with 100-calorie servings, Vitalicious® is leading the way to a holistic approach to maximize satisfaction with minimum calories, with products that are low fat and high in fiber and nutrients. Vitalicious® has created a unique triangle of need-satisfaction (All-Natural ingredients + Nutraceuticals + Weight Management), the only baked-goods company in this niche. Founded in 1999, Vitalicious® creates and sells a variety of unique, healthy, value-added baked goods under the VitaMuffin™, VitaTop™, VitaBrownie™, VitaCake™, and VitaMuffin Mix™ trademarks. Vitalicious® products are now sold at stores nationwide and at www.vitalicious.com (www.vitalicious.ca for Canadian Residents). Here at Vitalicious® our mission is simple: to make healthy and delicious baked goods that are fortified with essential vitamins and minerals." Check out the other great-tasting, low-calorie offerings from Vitalicious today!